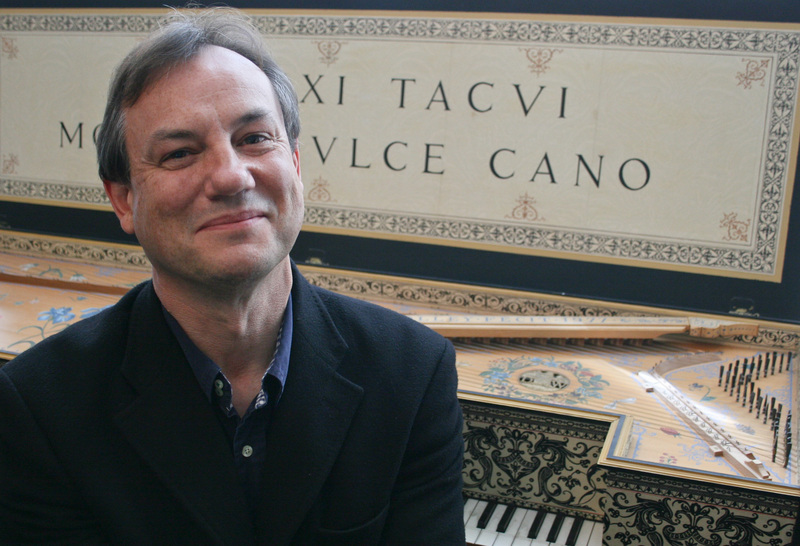 With one or two exceptions – Lo Ballo dell’Intorcia and Gagliarda Napolitana from Italy, and two pieces written by Jan Pieterszoon Sweelinck in Amsterdam, the bulk of the music performed on this new CD stems from Elizabethan and Jacobean England, when native musical talent – especially in the field of keyboard music – enjoyed one of its finest moments. Every known style for the period is represented in this programme and ranges from dances, variations on popular melodies, and grounds, to preludes, fantasias, cantus firmus based works, and grounds that inspire music that is written in imitation of bagpipes, trumpets and – even – church bells. Two types of virginals have been used for this recording. 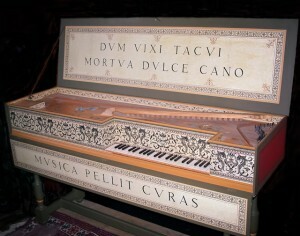 First a modern day copy by Dennis Woolley, of an instrument made by Jean Couchet in 1650 and housed in Vleeshuis Museum of musical instruments, in Antwerp. Although the instrument is limited to one string per note, Couchet included in his design a handstop called the arpichordum, which positions a series of metal ‘hoops’ adjacent to – but not touching- the strings in the tenor and bass areas of the instrument. When the strings are plucked they vibrate against the ‘hoops’ and the result is a buzzing, eerie, almost other worldly, sound. The optional tone colour is particularly effective when the bass of a musical composition contains an ostenato, as in the Scotish Gigg (track 1) and Non Exspextat (track 3). 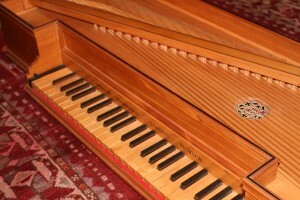 The other virginals was made by Andrew Wooderson in 1992, and is modelled on the type of instrument that would have been popular in Italy during the 16th century. It is particularly suited to Lo Ballo dell’Intorcia and Gagliarda Napolitana (tracks 9 and 10). Stylistically, The Scotish Gigg has much in common with the better known My Lady Carey’s Dompe (see track 17, below), in which a two bar phrase comprising broken chords in the bass is repeated over and over again, inspiring increasingly elaborate melodies in the right hand (the left hand remains unchanged throughout). Perhaps the biggest surprise of all comes in the closing bars where the composer seems to imply that the bagpipes are about to run out of steam (a huge rallentando is too tempting to resist at this point) and the closing bar ends, tantalisingly on the tonic 7th, as if there isn’t enough air in the sack to finish the job off. Despite its Latin name, Non exspextat is a lively little dance, in which the lilting melody in the right hand is accompanied by an ostinato figure in the left. The music is strongly reminiscent – as in the first piece on this CD – of the world of the bagpipes. These three delightful dances appear sequentially towards the beginning of The Mulliner Book (c1545-70) and, because of their rhythmic characteristics, I feel work rather well together as a group: fast – slow – fast. The first piece La bounette (the bonnet) is a bright-eyed movement in G major and is akin in style and manner to any number of sprightly dances in 2/4 time of the period. La bounette in turn gives way to a minor-keyed piece La doune cella (the young girl), strongly suggestive of the world of the pavane, with its underlying meter of ‘slow quick quick, slow quick quick, slow . . etc ‘. If the second dance of the group is indeed pavane-like in aspect, then the third one, La shy myze, is, by contrast, galliard-like in feel. It swings along with a confident gait, halting at cadences with unexpected lombardic (short – long) rhythmic figurations. The name of the piece is an odd one. Perhaps Mulliner, the compiler of the first part of the book, was not so hot on his French. So, rather than being a dance that describes hesitant rodents, La shy myze is surely a phonetic spelling of la chemise, and almost certainly refers to the shift or smock worn by men and women at the time in order to protect their clothes from the oil and sweat of the body. 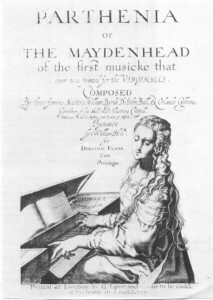 Much, over the years, has been written concerning the connection between Francis Tregian the younger (1574-1618) and the volume of keyboard music known as The Fitzwilliam Virginal Book. 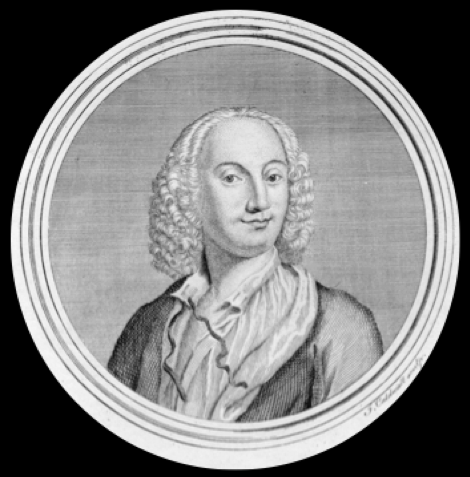 In short, there exists a greatly loved story which claims that while Tregian was in captivity in the Fleet Prison, in London, he wiled away the hours – years, even – by transcribing keyboard music by eminant composers of the time, Peerson, Morley, Bull, Byrd etc. His imprisonment was a knock on effect from the time of his father, Francis Tregian the elder, who had been incarcerated (also in the Fleet), on charges of harbouring the Catholic priest, Cuthbert Mayne, at Golden Manor, his estate in Cornwall. Modern scholars, for a variety of very convincing reasons, dispute the story. 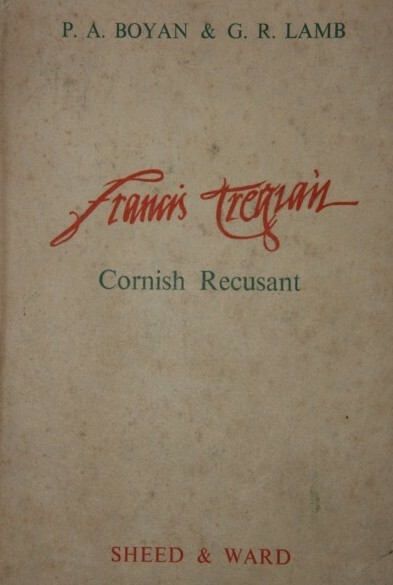 However, Tregian (and presumably the younger) really does have an association with The Fitzwilliam Virginal Book, since his name – or at least his initials – appears as dedicatee in some of the titles of the pieces. The Pavana Ph. Tr. and Galiarda are cases in point. William Byrd, a fellow Catholic and arguably the master keyboard writer of the period, produces here two remarkable examples of his craft. A sober pavane with its traditional tripartite format and containing outstanding imitative counterpoint (listen to the opening section) gives way to a racy galliard that contains some surprisingly inventive harmonic corners. These pieces, which are appropriately played on the Italian virginals, can be found in Antonio Valente’s Intavolatura di cimbalo, published in Naples, in 1575. Intavolatura di cimbalo is one of the earliest publications of keyboard music and is made up – among other works – of a variety of dances, variations, ricercares, and intabulations. The first of the pair played here, Lo Ballo dell’Intorcia, is essentially a minor-keyed theme and variations movement, while Gagliarda Napolitana is a boisterous dance that overflows with serpentine lines of brisk quaver passages. These passages are hallmarked by brilliant and exciting cross-rhythms. The West Wind so sweetly did blow in her face. The god cried O pity! and held her in chase. Tarry and turn thee, sweet nymph stay. Turn thy fair eyes and look this way. Pity O Daphne, pity me. And earnestly prayed him to leave her alone. I’ll cry to thee while life be spent. These two works by Peerson are almost certainly intended as pendants, and may even have been part of a larger group of pieces designed to reflect the four seasons. As one would expect from programmatic music, each movement is true to its title. The melancholic Fall of the Leaf has a distinct autumnal feel about it and relies frequently on descending motifs for its melodic shapes, presumably in imitation of falling leaves. The work is set in the sombre tonality of D minor. By contrast, The Primerose is major-keyed and perky in nature, reflecting the optimism of springtime. Not even an amount by which a fly could quench its thirst. This is how we drink and live all the while we are students. To celebrate the forthcoming marriage of Elizabeth, daughter of James I (see notes to The Queen of Bohemia’s Dump below) the composers William Byrd, John Bull and Orlando Gibbons joined forces by contributing compositions to a volume entitled Parthenia – or the Maydenhead of the first musicke that ever was printed for the Virginalls (c1611). 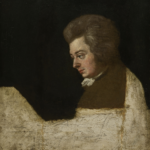 Actually, it was not the first time that keyboard music had been published, but it was the first time that it had occurred in England, and the clever choices in the volume showed the skills of the three composers in a remarkably good light. The Bells is one of the best loved of all Byrd’s keyboard compositions, and is, as the title implies, a work that derives its inspiration from the tolling of bells. The motif (an alternating semibreve on C and minim on D) from which the entire composition springs, is heard in the bass of the opening bar. Once this has been stated, the music gains complexity and tremendous momentum, running into pages and pages of genius and invention. Scholars suggest that The Bells is one of Byrd’s later compositions on account of its attempt to imitate change ringing, a phenomenon that only emerged in England in the early 17th century (Byrd died in 1623). Among the earliest claimants of ringing societies are the Ancient Society of Ringers of St Stephen in Bristol, founded in 1620, and the slightly earlier Lincoln Cathedral Guild, dating from c1612. The Lincoln Cathedral Guild, I find particularly interesting in connection with The Bells, since Byrd was born in Lincoln, was at one stage organist of the Cathedral, and throughout his life retained strong links with the city. 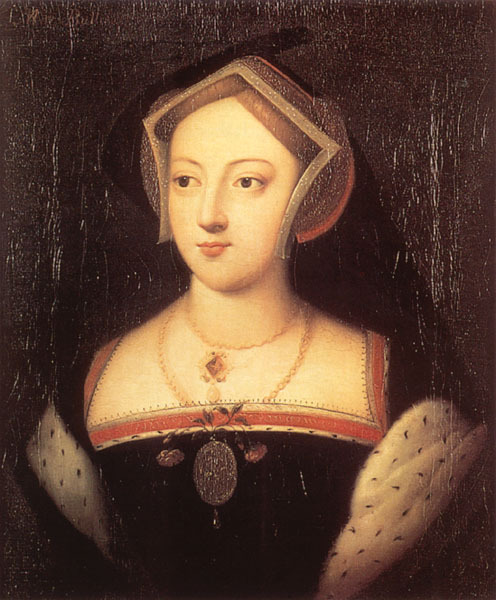 Mary Carey, née Boleyn, was the sister of the more famous Anne, and was therefore aunt to Elizabeth I. 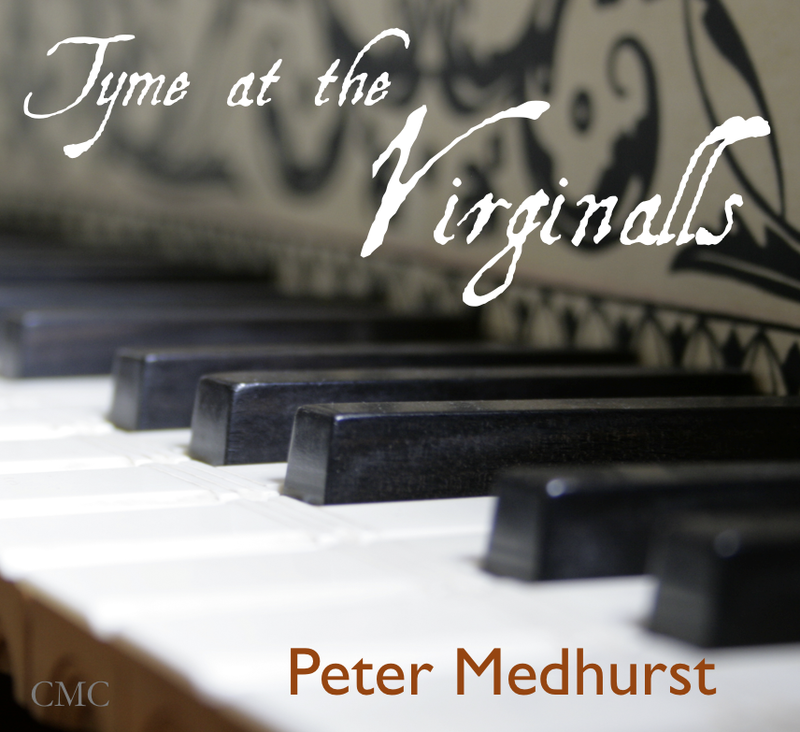 This composition that bears her name in the title, is one of the earliest surviving pieces of English keyboard music, with some scholars dating the work to the mid 1520s. As we have already learnt from the quotation When griping grief the heart doth wound, And doleful dumps the mind oppress the dance known as a dump, was perhaps slow and mournful in nature. However, the musical personality of this piece belies a slow approach in performance and seems to gain energy and verve by adopting a fast tempo. Despite its antiquity, there is modernity about the music; it is even, to my ears, suggestive of eastern music. As the title claims, this piece is named after James I’s daughter, Elizabeth Stuart (1596–1662), wife of Frederick V, Elector Palatine, Electress Palatine and briefly Queen of Bohemia. Following the Battle of White Mountain on 8th November 1620, Elizabeth and her husband were forced into exile, and these two events essentially started the Thirty Years War across much of Northern and Central Europe. If a ‘dumpe’ is indeed a slow and mournful dance, then perhaps this reflective music is well suited to Elizabeth and her plight. The Fitzwilliam Virginal Book contains a number of what might be termed ‘character pieces’, basically cameos that allow, perhaps, a glimpse into the state of the mind of the composer in question. I’m thinking particularly of Giles Farnaby’s Giles Farnabyes Dreame, His Rest and His Humour. My Choice, My Jewel and My Self by John Bull may also be added to the list, along with the piece that has been recorded here, My Grief. The music’s introspection is given minor turbulence by some delicious hemiolas which occur in the centre of the work. 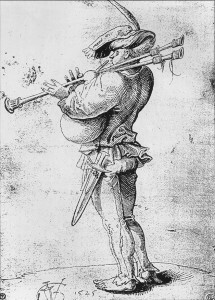 Les Buffons were clowns, jugglers or jesters who supplied entertainment for courts and private houses across Europe during the course of the 16th century; and entertainment is exactly what this lively piece by Bull supplies to the listener. A repeated eight-bar ground underpins the entire work, and with each re-statement of the phrase the antics of the keyboard player become more and more extravagant. Towards the end of the work, the ‘buffoons’ grow weary, and the music comes to a much deserved rest – both for them, and the player. At some stage in its history, Tower Hill must have been a ditty, and I imagine, connected with the famous location in London. 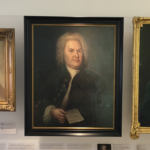 Over the years, the melody has been set by various composers, and a slightly simpler arrangement than this one by Farnaby can be found – for example – in The Leningrad Manuscript, a collection of mid 17th century German/Dutch keyboard music. There, the piece is called Rosemont. Interestingly, the melody shares characteristics with the saucy song Watkins Ale, also fashionable at the time. This nifty little piece is an arrangement made by Richard Farnaby of the song Fain Would I Wed a Fair Young Man, by Thomas Campion who published it in his Fourth Book of Ayres, around 1617. Sadly, very little is known about William Inglot, who during the course of his career was organist of Norwich Cathedral (1587-91), later, organist of Hereford Cathedral (1597-1607) and once again, organist of Norwich Cathedral (1608-21) at the end of his life. 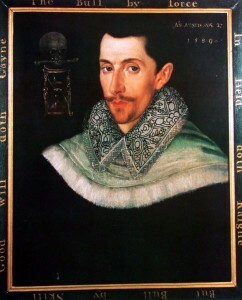 His reputation as a composer rests on three surviving pieces, one of them is probably the untitled keyboard piece in the British Library marked Englitt, and the other two (including The Leaves be Greene) may be sourced in The Fitzwilliam Virginal Book. This Alman by Robert Johnson is actually set by Giles Farnaby, and is a benign, though thoughtful, account of a favourite Elizabethan dance meter. An interesting entry in the diary of the Scottish ambassador, Sir James Melville tells of his visit to the English Court, in 1564. Although he infers that he was keen to return home, Melville wrote yet I was stayed two days longer, till I might see her [Elizabeth I] Dance, as I was afterward informed. Which being over, she inquired of me whether she or my Queen Danced best? I answered, the Queen Danced not so high, and disposedly as she did. It’s an odd response to Elizabeth’s question, and I can only imagine that he saw the English queen dance La volta. 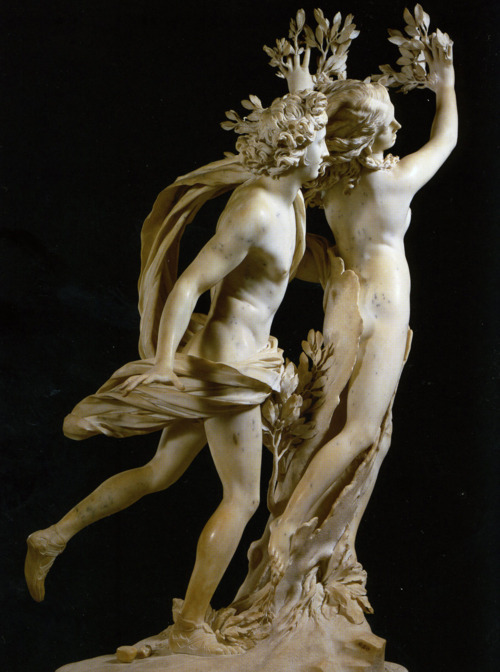 La volta was an Italian dance, which took its name from the ‘leap’ that is demanded of the woman dancer several times during the course of the routine, and it was this dance that was favoured (tolerated?) by the English court, because Elizabeth adored taking part in it. Others, however, were less sanguine over its propriety. A picture hanging in Penshurst Place in Kent, purportedly shows Elizabeth I dancing La volta with the Earl of Leicester. The artist, possibly Marcus Gheeraerts, has shown the exact moment of the leap – or the vault – when the woman is suspended in the air, assisted by various tuggings and pullings – even a knee in the bottom – by the male partner. No wonder a critic at the time remarked The Voltas which magicians have brought from Italy have this misfortune, that a great many murders and miscarriages result from them. Byrd’s setting of the popular volta tune is evergreen as a piece, and picks up beautifully on the inherant annimation that is part and parcel of that particular dance. The one big figure in late 16th and early 17th century Dutch music is the composer Jan Pieterszoon Sweelinck, who spent his entire career as organist of the Oude Kerk, in Amsterdam, a post which he took from the age of 12 years. 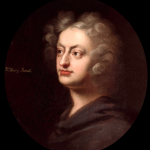 Although he composed more than 250 vocal works, consisting of chansons, madrigals, motets and psalms, his greatest contribution to music is as a writer of very imaginative keyboard music. Sweelinck’s keyboard works come in many shapes and sizes, ranging from fantasias and toccatas to dances and variations. The Echo Fantasia does exactly what its title describes, and builds up musical phrases which appear in pairs – the first statement always played loudly, followed immediately by the second, played quietly. The second piece, Il Ballo del Granduca, is based on a dance tune, written by Emilio de Cavalieri, which was first heard at the wedding celebrations of the Grand Duke Ferdinando of Tuscany and Christine of Lorraine in Florence, in 1589. Sweelinck writes four variations on the theme, which as one might expect, gain in complexity as the music unfolds. 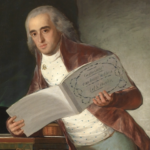 It’s worth knowing that there is a school of thought that claims the work is not by Sweelinck at all, but by his student and colleague Samuel Scheidt. An interesting notion. 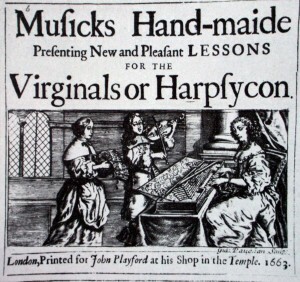 These two pieces can be found in John Playford’s Musicks Hand-maid, published in 1663. 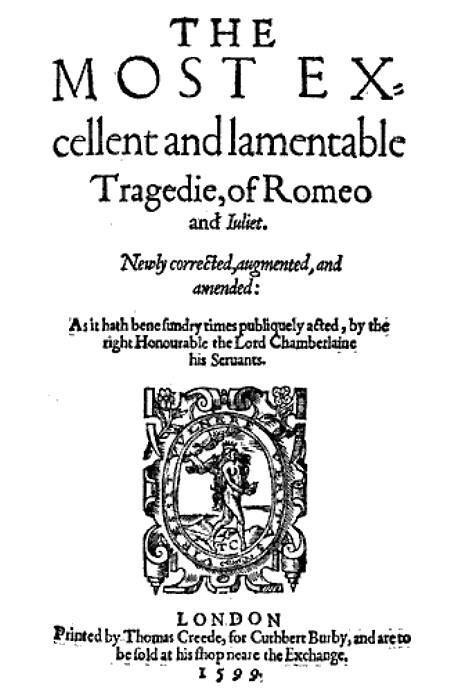 The preface claims that the volume presents New and Pleasant Lessons for the Virginals or Harpsycon . . . being most of them late Tunes and Dances set to the Virginals after the newest mode. The Grange falls easily into Playford’s brief, and swings along with all the rhythmic confidence of the dance of the early Baroque era. As with a number of other compositions on this CD, The Grange was almost certainly a song in origin, but divorced from its words, all that is left is a breezy and chirpy little tune in D major. Gerard’s Mistress by contrast is contemplative and minor keyed. A clue to the personality of the woman? I wonder. The final piece is, perhaps, the most curious and at the same time, alluring, of all the 30 pieces presented on this recording. It is pretty certain that up to Bull’s departure from England for Antwerp in 1613, among his duties at the English Court was the teaching of music to the young Prince Henry (born 1594), eldest son of James I. Henry, who celebrates this year (2012) 400 years since his death, was passionate about the world of the military, and it may be that A Battle and No Battle was written as a duet for scholar and master to enjoy performing together. Even if this story were not the case, the music – with its wonderful evocation of trumpets, beating drums, battle cries, burying of dead soldiers, and the victorious peeling of bells – would certainly prove attractive to a young boy’s/man’s imagination. The lengthy work is based predominantly on a four-bar ground in 3/2 metre, which restricts itself to a chord sequence of tonic, subdominant and dominant. With such a limitation set on the harmony, the music might be destined for dullness, but that is most definitely not the case. Rather, A Battle and No Battle presents a flood of endless invention, concluding in a knell (Bull instructs this to be played first slow, then quick, ten times) which in turn is followed by a marvellous pealing of the Bells of Osney, played very quick: 20 times. After this triumph and display of unbridled optimism, the whole work returns to an atmosphere of sobriety, and ends with a two-bar knell, in honour of the fallen soldiers.